Welcome to Winter at Farm Visit. There's loads of new calves and exciting things to learn. To keep up to date please fill in the Contact Us form and we'll let you know whats happening on the dairy and dates for the next Farm Visit. The Farm Visit is to authentic working Dairy Farm. Here you will get to meet the calves, get up close and see the cows being milked, learn where milk goes once it comes out of their udder and what products are made from milk. You'll will get to make butter, try some Australian cheeses and of course sample some great NSW milk. During the term, Farm Visit runs curriculum linked programs for preschool, primary and secondary students. We are happy to work with teachers and schools to ensure we provide a comprehensive program in line with your current units of study. 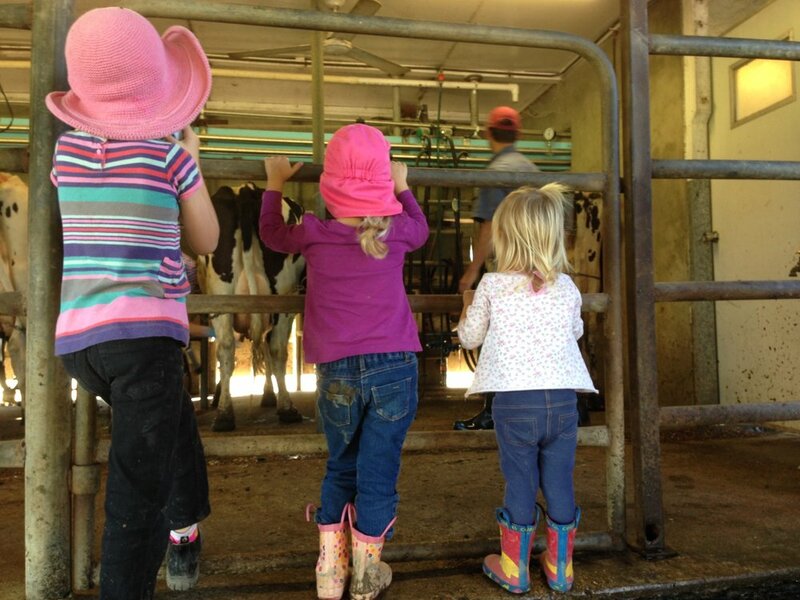 Students are invited to participate on farm or Farm Visit can come to your school or childcare facility. Want to know more about where your food and fibre comes from? Keen for a great base in the foothills of the World Heritage listed Barrington Tops National Park? The beautiful town of Dungog is less than three hours’ drive from Sydney. Enjoy a delightful on farm experience with the vibrant produce of the Williams and Hunter Valley's.